London. : Eyre & Spottiswoode Ltd. 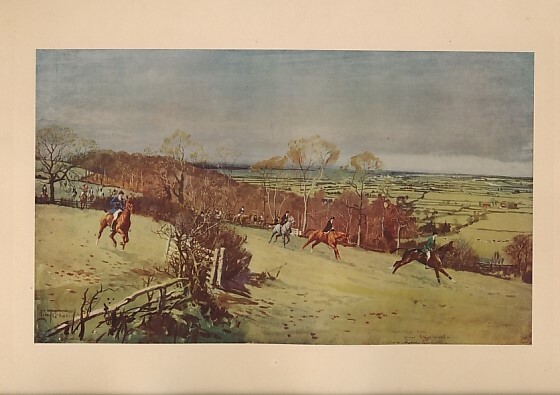 Illustrated by Lionel Edwards with sixteen full-page colour plates of various hunts - all tissue-guarded with titles to tissue-guards; additional b/w illustrations. 370 x 180 mm (15 x 7 inches) - xiv, 195pp + plates. G : in Good condition without dust jacket. Cover marked along lower edge and spine. Internally VG. Torn previous owner bookplate to front pastedown. Pages untrimmed. Heavy book. Extra shipping may apply outside UK.